Social gaming with a local flavour has become a huge rage among Indian Internet users, thanks to ibibo.com. Set up in 2007 by Ashish Kashyap, ibibo Web Pvt Ltd is jointly owned by South Africa's Naspers and China's leading Internet company Tencent. Prior to launching ibibo, Kashyap set up and launched Google India's domestic operations as its country head- Indian sales and operations. 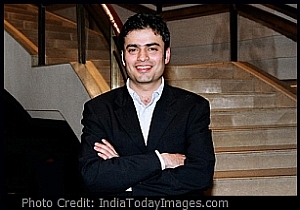 Before joining Google India, he was the general manager (e-commerce) at Indiatimes.com. As you may know, ibibo is a leading social gaming business in the country and owns fast-growing e-commerce properties, such as goibibo (travel) and tradus.in (shopping). In addition to their strong Internet presence, some of the ibibo games have also made foray into the mobile space. The company has recently launched its game developer platform called ibibo Open and seems to be eyeing mobile gaming in a big way. In an exclusive interview with Techcircle.in, Ashish Kashyap, CEO of ibibo Web, talks about his company, future plans and growth opportunities in the digital gaming market. You have recently launched a game developer's platform. What is it all about? There are a few things to consider here. First of all â€“ as a platform, we will help developers reach out to a critical mass (target audience) really fast. If you look at the IP we have developed over the past three years and our games like Teen Patti, Mumbai Underworld and Yes Prime Minister, you will see that a lot of these clearly feature Indian stories. And we are now going to distribute the games developed by external game developers. Moreover, we are going to step on the gas to market and distribute these games because we also own an affiliate ad network system which we will leverage aggressively â€“ so that these games can reach a bigger audience. The other area where we will help is payments, which is extremely critical. We have all the local payment systems which the developers can leverage for monetisation. We are also going to work closely with them to ensure that they can generate revenues through our ecosystem. What will be the revenue share between ibibo and game developers? Initially, the revenue share is a 70-30 split, with 70 per cent going to developers. Plus, we bear all marketing and distribution costs, and offer performance-linked bonuses (PLBs) to the developers. Once these external game developers start generating revenues out of our ecosystem, we will play a very important role in the country's gaming space. ibibo has also launched a mobile browser. What is its USP? First of all, we are pleasantly surprised by the volume of downloads and the daily active usage. And we are set to offer local languages which will be another crowd-puller. We have already signed deals with mobile operators and handset manufacturers, and that will help us in terms of distribution. What's more, it will be open to external developers, so that they can leverage our payments systems and gain access to a bigger audience. As for technology, we have worked closely with Tencent to develop this browser. Are you planning to venture into mobile gaming? Some of our games, such as Farm and Underworld, are already there on the mobile platform. So users can play those using their mobile phones. You can even buy virtual goods as the same payment integration is there. In fact, we are one of the pioneers to bring social gaming to the mobile platform. Also, some of our games like Teen Patti are available on Android which means both PC and mobile users can play the game together. Tell us about your marketing initiatives. It has been mostly above-the-line promotion and when I say ATL, I mean mainstream media such as television. We have actually gone ahead and stepped on the gas to get more reach for our products, so that we may create an ecosystem, and that has worked for us. However, we don't advertise too much; instead, we focus on partnerships with channels like MTV, Channel V and UTV Bindass. What are your investment plans? As of now, we are aggressively investing into e-commerce. And the other key theme of our business is to invest in platforms. For instance, we are starting a payment platform. We have already come up with a games platform and we are now starting games card distribution, so that people can be distributors for our game currency. We are also focusing on a travel platform. Therefore, investing in platforms and e-commerce is our key focus. Unfortunately, we can't share the financials but at this stage, we do have good margins in the social gaming business through micro-transactions. Plus, we have an online travel business called Goibibo, which has been growing really fast. We also have an online shopping biz called Tradus.in and we are investing in the browser space. So basically, we are incubating more and more businesses. And finally, what are the future opportunities? We are a dominant local platform and that gives us certain opportunities. As there is no other leading player in the country, that space is open for us and we are right on the track to become No. 1. In fact, we are aggressively investing in technology resources and innovation to claim the top slot. Also, we can expand across all gadgets â€“ PC, Tablet or mobile â€“ and that's a great advantage. The other area that needs our attention is payment. There is still a lot of friction where payments are concerned and we are working hard to simplify the payment process â€“ so that people can easily buy our products and services.